Last week, a group of people scaled the towers of the Brooklyn Bridge and replaced the American flags with bleached out white ones. Many people have many theories about who did this and why. Certainly, some kind of terrorist explanation comes to mind – a dry run to expose security protocols perhaps. But also among the many speculative explanations was that this was in some way art. Of course this would be of the Conceptual or Post-Conceptual variety that I discussed in my previous post. Even so, how can art be indistinguishable from terrorism? Even in the throes of Dada, the avant-garde, the Theater of Cruelty starting almost 100 years ago, the audience knew it was an audience and the artist knew she was an artist. 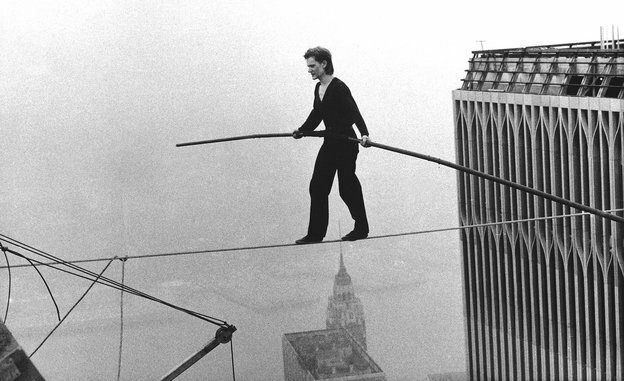 Certainly the creators of these productions meant to break down the barriers between audience and artist, but the barriers were there to be broken down. What is happening in this century, whether you accept it or not, is that more and more there is no gap between art and life. Art is famously impossible to define. It is the institutions of art that clue viewers, listeners, smellers, tasters, touchers that the experience before them should be understood as art. Heidegger describes the function of both art and technology as the revealing of Being. But just as technology is “nothing technological”, art is nothing artistic. Both are a function of the revealing Heidegger discussed, each dependent on a different understanding of Being. This increasing invisibility of art recalls for me, in this context, the projects Stranger Vision and Invisible by Heather Dewey-Hagborg I discussed in my last post. In the first she constructs “family resemblance” sculptures from DNA she acquired in random places. In the second, she developed a pair of aerosol sprays to eliminate and mask any remaining DNA from a surface. 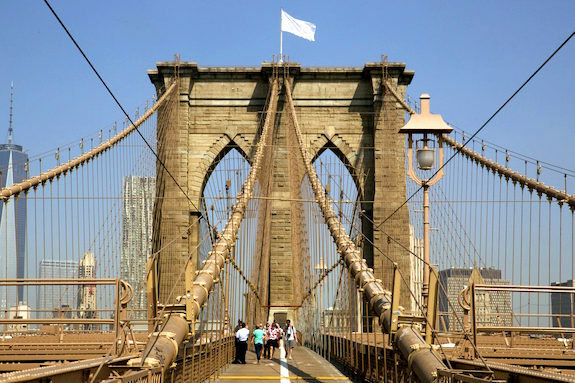 Indeed, news reports indicate that DNA Evidence Found At Scene Of Brooklyn Bridge White Flag Stunt Gothamist 7-25. Perhaps the NYPD could find Dewey-Hagborg’s Stranger Vision technology useful. Perhaps the artists/perpetrators could have benefited from her Invisible technology. There is no Luminol spray to show trace evidence of art. Perhaps that could be Dewey-Hagborg’s next project.